Electrical pump to inflate inflatable SUP boards. The Scoprega BP 12 is a smart and effortless way to pump the inflatable SUPs. 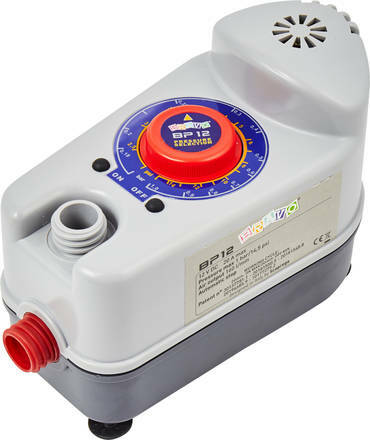 You can set the wanted level of pressure so that the pump automatically stops when this level has been reached. The maximum level of pressure is 14.5PSI (1 bar), the voltage supply for the pump is 12V DC and the air flow pr. minute is 42.27gallons (160liters). 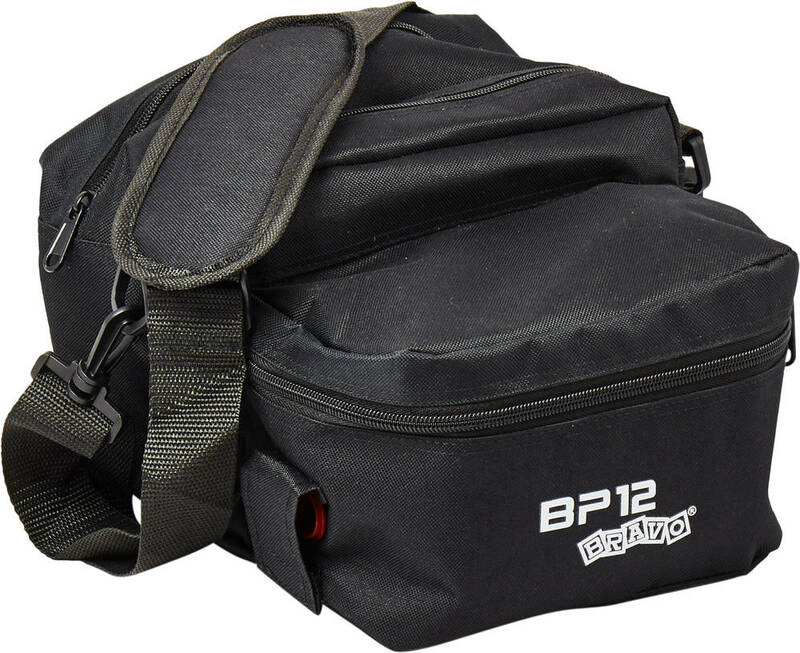 Included is a valve connector fitting inflatable SUPs and a bag with shoulder strap. This pump comes with a 5.58feet (1.7meters) tube and a 9.84feet (3meters) power cord. Also usable for inflatable boats and kites. 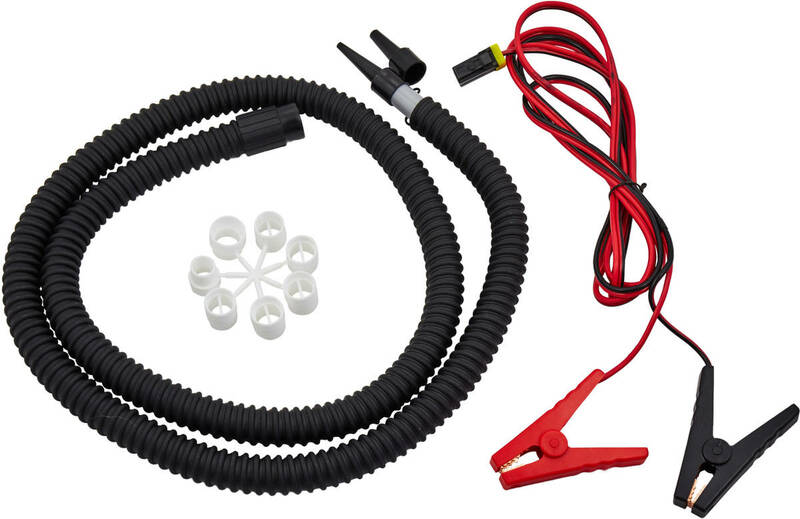 Connect the pump via the two crocodile clips to a 12Volt battery - NOTE: The reason why a 12V accessory socket plugin (Car Cigarette Lighter plugin) is not a part of this pump kit is that the pump is too powerful to be connected through that socket.